Are you running out of different ways to make chicken? Looking for a delicious and unique recipe to wow your friends and family? 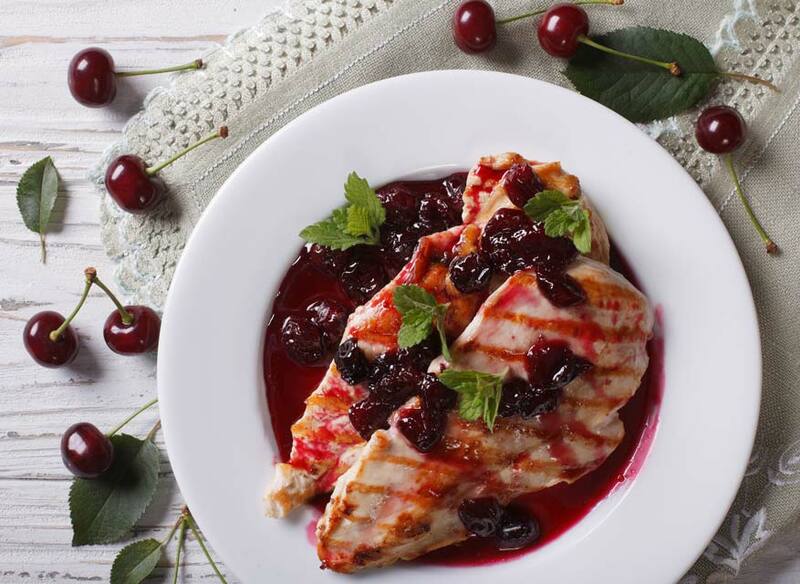 Add the health benefits of cherries to your main dish with this easy-to-make cherry chicken. Heat a large skillet over medium heat, add 2 tablespoons avocado oil, and heat for 30-60 seconds more. Add chicken and cook until done, flipping halfway through. Add remaining 2 tablespoons avocado oil to skillet and heat for 30-60 seconds. Add chicken broth and cherries to onions. Bring to a simmer, mash some of the cherries, and let cook until most of the broth is gone. Add balsamic vinegar and cook for two more minutes. Serve chicken with cherry sauce on top.